We got yet another good one for you. Don’t forget to claim your free bets by sending us the answer. I was neglected for years but now i’m back. I am somewhat of a master myself. Some compare me to the likes of dark souls. Send us your answer by replying to this post and win free bets! P.S. answer from last week: I’m a Keyboard! Welcome to the first awesome, cool and challenging Master Riddle! Every week, we’ll give you a puzzle to unlock free bets. We are launching an esports Betting site. Willing to be our Beta tester? Reply below this message with your email and I’ll hook you up. Go back in time for several years and wannabe gamers would meet at conventions to challenge each other playing games such as Counter Strike. During the years, these matches have separated the average gamer from the elite. The media started to pick up on eSports after a while and nowadays we are bombarded with live streamers on Twitch. 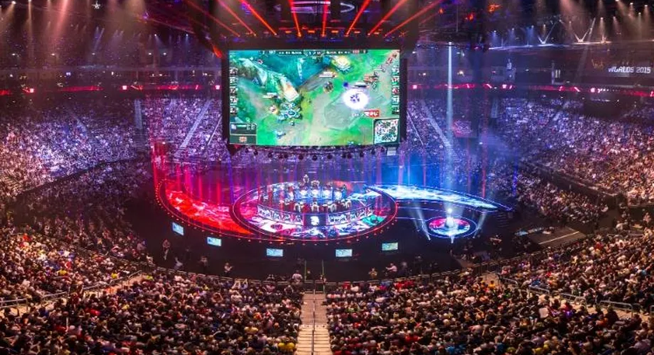 Clearly, eSports is producing huge international communities of gamers not to mention the tournament prizes to be won. Master Mazuma is one of the few solely dedicated eSportsbook websites where you can place a bet on any eSports game out there. Make Master Mazuma your go-to Esports Betting Community! So what are you waiting for, pre-register now!